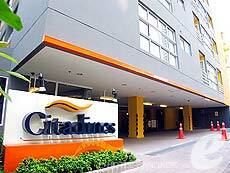 Located a 3-minute walk from BTS Asoke station, Citadines Bangkok Sukhumvit 16 is a conveniently located serviced apartment which offers easy access to anywhere in the city. 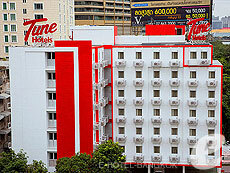 Newly opened in January of 2007, it offers simple and modern rooms equipped with kitchenette. 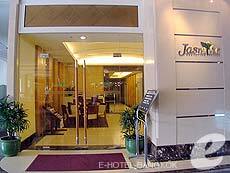 This is a convenient hotel which is popular with business and leisure travelers alike. 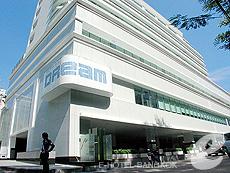 Dream Hotel is a stylish design hotel from New York, which is opened on Sukhumvit Soi 15, in 2006. From common areas such as lobby and lounge to the guest rooms, all uniquely designed. A chic yet casual atmosphere makes it popular with young couples. 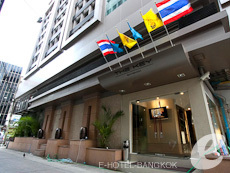 It is located a 5-minute walk from BTS Asoke station. 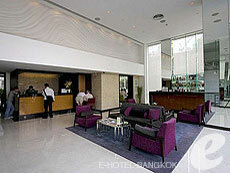 Grand Millennium Sukhumvit is a luxury hotel located on Sukhumvit Soi 21, just a 3-minute walk from BTS Asoke Station. The stylishly designed modern building offers 325 spacious rooms and suites, sophisticated restaurants, and relaxing spa facilities. 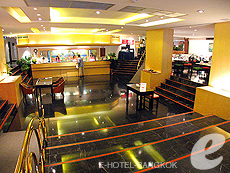 The hotel ensures a comfortable stay for all types of travelers. 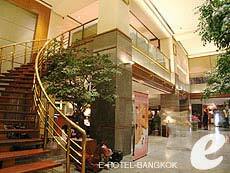 Hotel Windsor Suites Bangkok is located just a 5 minute walk from Asoke BTS station and Sukhumvit MRT station. 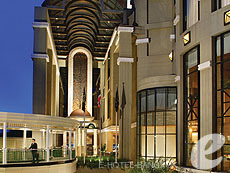 The hotel consists of two wings, a 35-year old historic Garden Wing, and a 33-story Suite Wing. It offers a total of 458 luxurious rooms and suites and a wide range of facilities such as a swimming pool, spa, and business center. All rooms in the Suite Wing are spacious, offering more than 40 sq. meters of space. 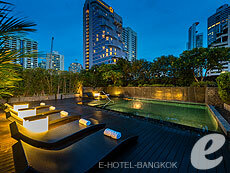 S31 Sukhumvit Hotel is seeking relaxed and upscale experience in a hotel with strikingly modern designs in central Bangkok, S31 hits all the right notes. 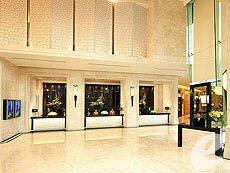 Located near the Prompong skytrain station, this spacious 90 room hotel is a luxurious sanctuary for business and leisure travellers. 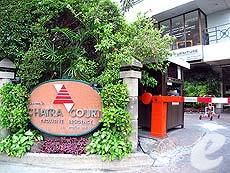 BTS/MRT Station a 2 minutes walk to BTS Asok station and MRT Skhumvit station. 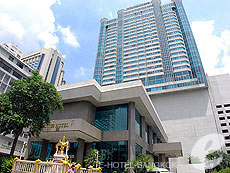 The Sheraton Grande Sukhumvit is a renowned luxury brand hotel in Bangkok. 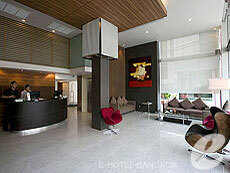 Convenient location as direct link to BTS Asok station and a few minutes walk to MRT Sukhumvit station. Shopping, restaurants and entertainments the area where plenty of things to do. Exquisite living spaces and tasteful decor, the renowned restaurants, Rossini's and basil, the Grande Spa, exceptional business and function facilities, and unrivalled technology, all combine to deliver an unforgettable personal experience. 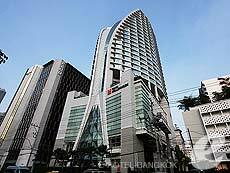 SilQ Bangkok opened in May 2009 on 19 Sukhumvit Road (Soi 19), close to Asoke BTS station. 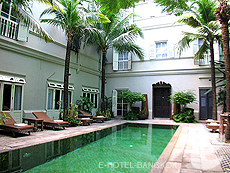 There is no swimming pool, but the guest rooms are furnished with modern furniture to provide you a comfortable stay. The guests also can enjoy free wireless Internet access. 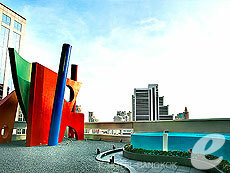 Various restaurants and shopping and entertainment venues are within walking distance of the hotel. Recommended for both business and leisure travelers. from Airport 45mins by Taxi.